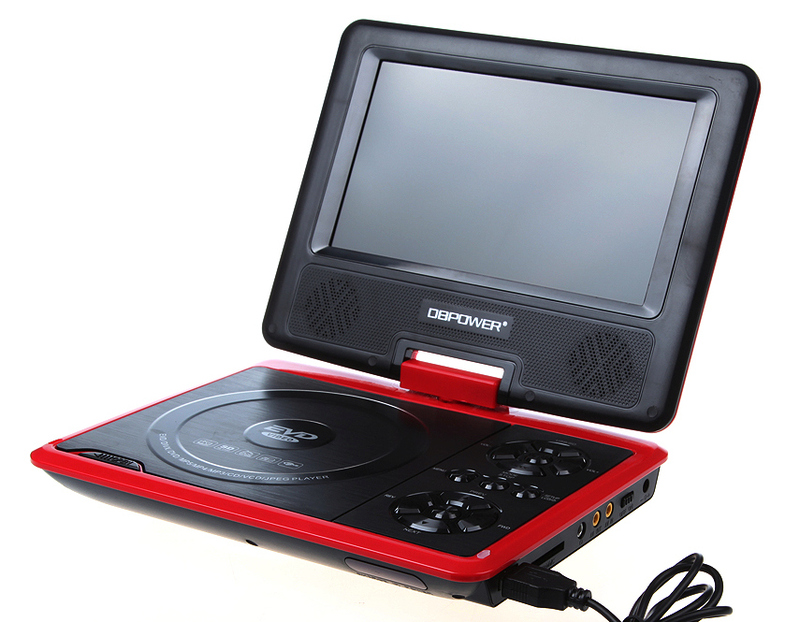 A portable, lightweight DVD player, complete with a large range of accessories and cables. They include: cable for mains charging, car charger, TV antenna, audio cable, a good remote, a CD with hundreds of “vintage” kids games, and a little games controller. The image quality is surprisingly good for a 9 inch screen, crisp details, saturated colours and the screen can pivot all the way around. The instructions are a bit iffy but reasonably understandable (in English, French and German). The screen format can be set for 16:9 or 4:3. 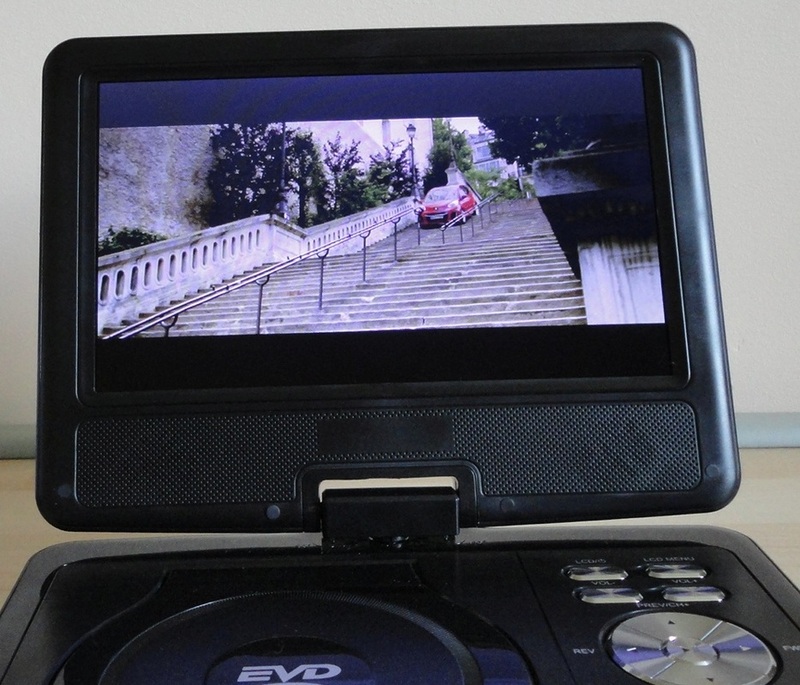 This reader has played everything I have tried: commercial DVDs and CDs, as well as recordable media with my own home-made videos and music (Sony DVD+RW, DVD-RW, DVD+R, DVD-R, CD-R and CD-RW). It offers a few options: it can play video and audio from USB flash drives and most memory cards (check the specs if in doubt). 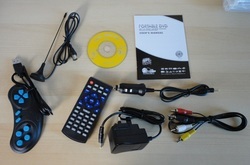 It includes a radio and, supposedly, can also function in TV mode (tiny antenna provided). I don't care for the radio and the TV function did not work for me, but I wasn't surprised because my old DVD player was exactly the same. As for the games, again it's not my thing but they seem very old-fashioned and the games controller is definitely a toy. The battery life is a bit limited (about 2 hours), but then it charges quickly, and you can use it while it's plugged in, although you might need an extension cord unless your wall outlet is at table height (the cable is only 1 m long). 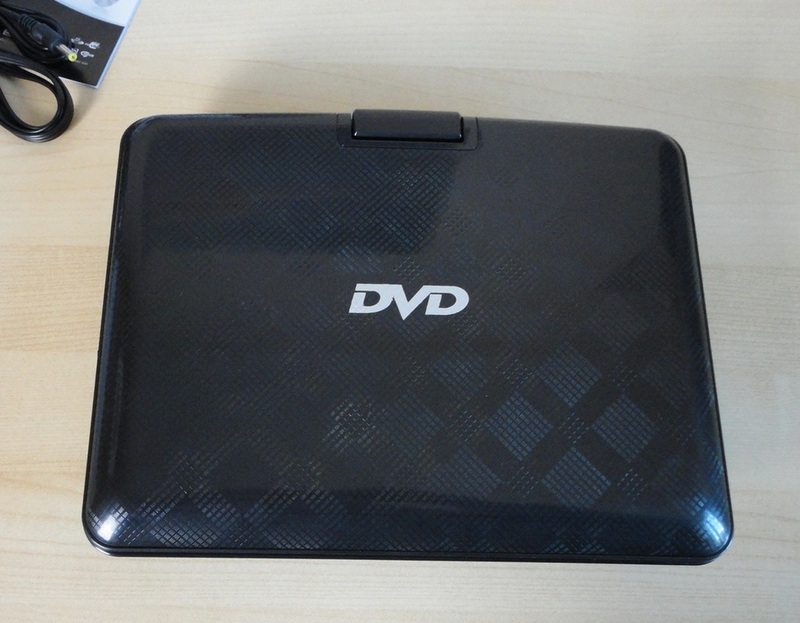 If used in a car, the DVD player can run (or be recharged) while plugged into the cigarette lighter. According to the instructions, a green light should come on when charge is complete, but I have never seen it. All that happens is that the red charging light goes off. I had the same experience with another player, so I'm guessing that the instructions are not up to date, or that they cover different models. I think the best use for this fun gadget is as a DVD or media player. It provides a clear picture, loud enough volume for close viewing and easy interface. I love to watch it while I do cardio exercises. Previously I would have some music going but it's much more fun to watch a concert, and it makes the boring workout time go a lot faster. To boost the audio to my preferred level, I plug in an external speaker, or use a tiny transmitter (connected to the headphones jack) which allows pairing with a Bluetooth speaker or headphones. Perfect for entertaining kids on a long car trip. For the money, this is a nice DVD player and something that I'm using much more than I anticipated. 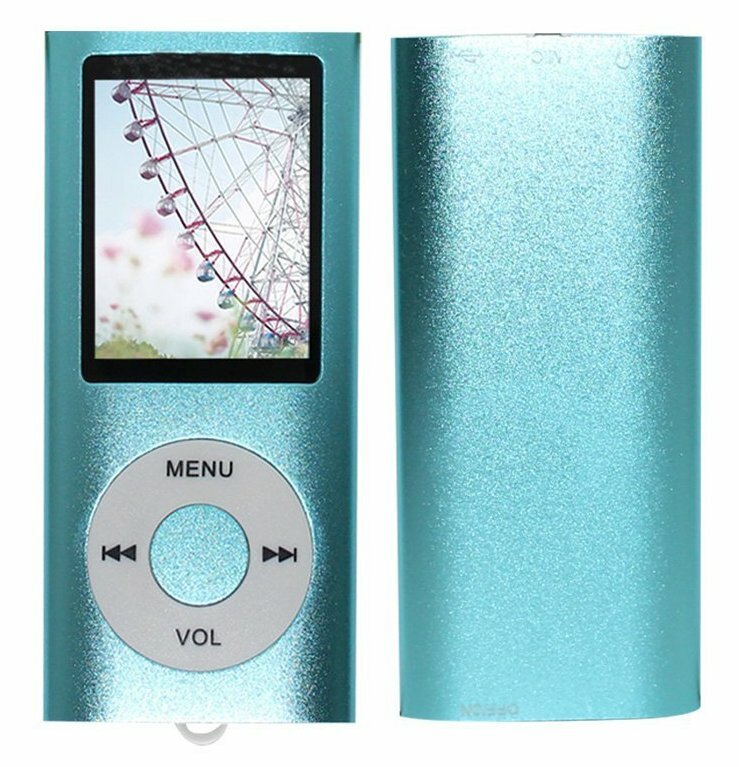 At this price point of less than £17, this cute little mp3/mp4 player is very inexpensive, so my expectations were fairly low. However, I was interested in its voice recording capabilities. It was offered to me to test and review and these are my observations. First impressions are excellent: the device looks pretty, I love the frosty turquoise exterior, the slim shape, featherlight weight and the simple interface via the front multi-function button. It's a very good size to slip into a pocket, but not so small that you can't operate the commands. It appears well built and solid enough, according to my husband who uses it for his hobby: to record musical phrases as they occur to him. re takes time and is not always convenient. So he uses these portable voice recorders a lot. The last one failed suddenly (actually it still turns on, but screeches horribly on playback), so this one is a very welcome and worthy replacement. Downloading from, or filling the memory card is as easy as connecting the supplied USB cable and accessing the device as an external drive in the usual way. The USB to micro cable is of good quality and does the job. It is used to charge the battery (autonomy is very decent) and to access content on the memory card without removing it. A memory card is included in the purchase, a nice touch. Its 16GB capacity (expandable to 32GB) is brilliant and gives this small device a lot of scope. Also included are some hard-tipped earbuds, a clear plastic storage case and a rather sparse and inaccurate manual. The device comes preloaded with a couple of sample photos, two songs, an animated video clip, a short e-book and four games. The mp3 function works well; it supports MP3 and WAV formats. If you are on the go and need your music fix, or distraction via an audio book, this will delight you. The sound is surprisingly good, with the ability to customize several settings, although quality does vary dramatically depending on the headphones. The supplied ear buds are not my favourites. Mostly because the hard shape does not fit into my ears at all, I need the soft little cups and, fortunately, I have several options that work well with it. I also like using a combination of one of those tiny Bluetooth transmitters (plugged into the audio jack) and any of my Bluetooth speakers or headphones. The sound coming out is quite loud and very smooth. The mp4 capability is excellent but limited, necessarily, by the size of the screen. However, the screen quality is remarkable and just having the ability to play images on such a tiny device still amazes me. The only format it supports seems to be AMV. Unfortunately, my favourite video converter does not offer AMV, so I'm not using the video function much. You can also read an e-book on this player but, again, the screen size makes this awkward, especially when the words are split at the end of the line. The radio option is fine, I don't use it often but it's there. Navigation takes a little getting used to, especially when the Menu button is also the Select one for most things. I like this player very much. While not the easiest to operate, as with everything, once you acquire familiarity with the menus, it becomes second nature. As a voice recorder, it is superior to other similar devices I have come across, with a sensitive microphone which picks up every tiny noise in its proximity, so handle with care. 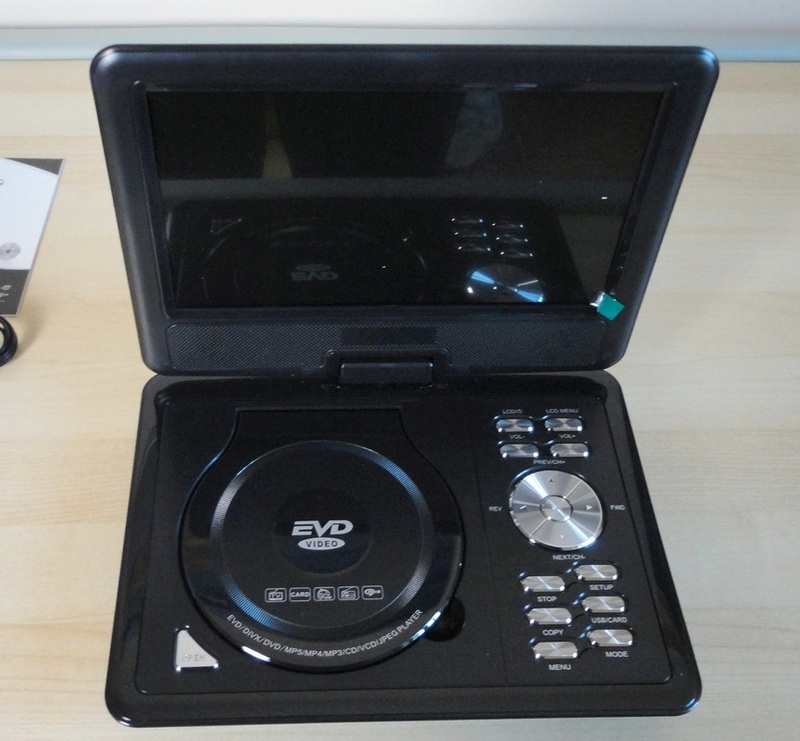 A very lightweight, portable DVD player, clearly designed to entertain young passengers during a long car journey. However, it has proven to be a lot more versatile than that. The image quality is surprisingly good for such an inexpensive item. The model I was sent to test and review has a 7.5 inch screen, but DB Power also makes bigger models with larger screens. It comes with a large range of accessories and cables. They include: cable for mains charging, car charger, TV antenna, audio cable, a good remote and a little games controller (to be plugged in at the back, not in the USB port on the right hand-side). The instructions could be better but are reasonably understandable (in English, French and German) and there is even a CD with hundreds of kids games. For all the bits and pieces, I only use it as a media player. The radio is too fiddly, the TV function does not work for my location and the games are very childish, anyway not my thing. 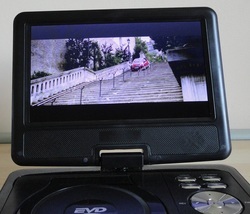 However, as a media player, it has merit: the screen can be set for 16:9 or 4:3 format. When new, it is covered by a protective film which is a little tricky to remove. This reader has played everything I have thrown at it: commercial DVDs and CDs, as well as recordable media with my own home-made videos and music (Sony DVD+RW, DVD-RW, DVD+R, DVD-R, CD-R and CD-RW). It offers so many options: it can play video and audio from USB flash drives and most memory cards (check the specs if in doubt). It has a radio inside. The battery life is not hugely long (about 2 hours), but then it doesn't take all day to recharge, and the DVD player can be used while it is plugged in and charging, although you might need an extension cord unless your wall outlet is at table height (the cable is 1 m long). This is a fun gadget that doesn't take itself too seriously but is very good at providing a clear picture, loud enough audio for close viewing and easy interface. I have found a great use for it at home: I love to watch it while I exercise on my elliptical crosstrainer. Previously I would have some music going but it's much more fun to watch a concert, and it makes the workout time go a lot faster. To boost the audio to my preferred level, I use a tiny transmitter plugged into the headphones jack which allows pairing with a Bluetooth speaker or headphones. My workout is now much more fun! For the money, this is a terrific choice and something that I find myself using much more than I ever thought possible. UPDATE : Sadly, my DVD reader has stopped working. When I try to play a disc, it makes a horrible scratchy noise and the disc spins endlessly. I have changed my rating to 3 stars in consideration of the fact that the player worked fine for about 13 months. 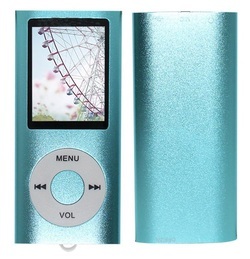 A wonderful, small, light mp3 player. Great sound, reasonably large memory (4 GB), providing hours of music. Very easy to connect to my pc (via a USB plug-and-play connection), it comes with proprietary software to transfer music but I much prefer to use the Explorer interface (drag and drop, just like any other file). I haven't really put to the test its waterproof capacity but sweat doesn't bother it. The buttons are small and I do sometimes get them mixed up but with such a tiny device, it's inevitable. The one problem I have (and for me it's a fundamental one) is that the single wire connecting the two ear plugs is very stiff and clearly intended for a bigger head than mine. As a result, the ear buds pop out at irregular intervals. Some days it will stay put for an hour or so and then one (or both) ear buds will literally jump out of my ears. Other times it will do so almost immediately. The really annoying thing is that I used to have the original model NWZ-W202 which fit me perfectly and stayed put no matter what. Unfortunately after two years of daily use, the battery gave up so I replaced it with this newer model. I cannot give it more than 3 stars because of its lack of stability (the only way I can use it is by securing it with a head band). However, for most men, or someone with a bigger head than mine, it may well be a perfect fit. 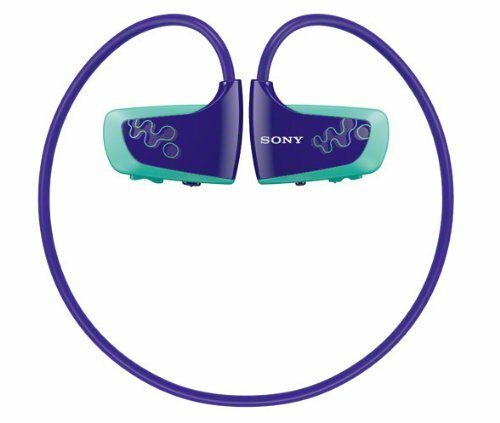 Personally, I just wish Sony had not “improved” the shape of the ear pieces!